The resplendent view of the unusually calm sea from Radar Tukon, a lighthouse in Basco, Batanes. The weather in Batanes is usually cool and breezy even during the summer months. And the air is so pure and clean, the joke is when Manila folk go to Batanes and breathe it in, they will likely suffer a choking fit—what with our lungs being so used to pollution in Metro Manila. The capital of Basco is where most of the population congregate, but it is hardly crowded. So cars are still few and far between. The common modes of transportation are tricycles and jeepneys. Walk around the neat and narrow streets, or take a bicycle or motorbike and drive around the paved national highway to the coastal areas and rolling hills. Every site will usually make one pause and give a silent prayer of thanks to the artist who painted the beautiful scenery before him. There are steep cliff drops into swirling wisps of crisp white water. Also, wide open spaces with lush greenery eventually invite comparisons to Scotland. Scattered around the main town, as well as the nearby Sabtang Island, are old churches swathed in colors, and dating back to the 18th and 19th centuries. What’s more, the people are gentle, honest folk who seem shy at first, but are eager to talk with and accommodate the needs of visitors from the mainland. It may be a bit expensive to fly there, but believe me when I say that it’s all worth it. For how can anyone put a price on bliss? The hills are alive. One of the most popular sites in Basco, the capital of Batanes, is “Marlboro Country,” so-called because it is grass-covered hill with horses and cows pausing to feed, you have a feeling the hot Marlboro Man with his trademark cowboy outfit, astride his dark horse, is about to ride up to you and offer you a pack of smokes. 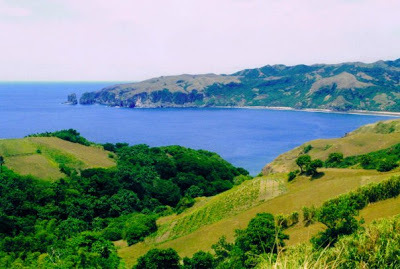 In the Ivatan dialect, it is called Racuh a Payaman, and from here, tourists can either gaze at the coastline with the strong waves crashing on the shore, more grassy, rolling hills and a lighthouse in the distance. It’s a great place for tourists to take photos of each other making those wacky jump shots aka “jumpologies” that have become such a fad. SONGSONG RUINS. 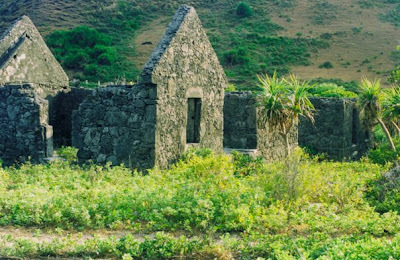 In the 1950s, a hugal tidal wave wiped out this entire village leaving only the frames of the stone houses standing. Church pilgrimage. There are Spanish-era churches here mostly built in the espadaña-style, with façades using bell gables (espadaña) instead of a full bell tower, as these were less expensive to construct. Among these are the Basco Cathedral (Santo Domingo de Basco) first put up in 1787, the Mahatao Church (San Carlos Borromeo Church) founded in 1789 and considered by the National Commission for Culture and the Arts as a “national cultural treasure,” and the San Vicente Ferrer Church on Sabtang Island (1844). Ivatan lodging. If you can take a seasickness-inducing ride from the port of Ivana using the falowa (outrigger-less banca) to Sabtang, drop by Savidug, a village of traditional Ivatan houses constructed from limestone, coral and cogon grass. As your grade-school teacher probably told you, the houses in Batanes use such materials and are built low to withstand the raging typhoons that regularly visit the province. Hike up the volcano. Those into mountain climbing can hike and trek up Mount Iraya, an active volcano on Batan Island. Located near the Basco Airport, the volcano’s summit is usually enveloped in clouds—an indication that someone has passed away, according to local folklore—so climbers are advised to do their hikes in September when the Indian summer rolls around. Watch the sunset. One of the best places to view the sun set amid a panoramic setting of the rampaging sea is the lighthouse on Naidi Hills in Basco. Climb the lighthouse for a better view, or take photos from the ground as the sky turns pink, then a deep midnight blue as dusk finally sets in. Beside the lighthouse is a row of bunkers one of which has been turned into a restaurant called Bunker Café. With its flaming red interiors and fake stone fireplace, the café offers a limited choice of Ivatan dishes. But it’s still a pleasant venue for dinner, even more so if you dine outside—that is, if the winds haven’t been whipped to a frenzy yet. Get coffee. Honesty Café (Radiwan, Ivana), has become the most iconic example of how Ivatans are simple, trustworthy folk, that they treat visitors there similarly. The store is usually unattended, but you can buy souvenir T-shirts here, get a cup of coffee and some biscuits, or drink bottled water. You go to a counter and just pay for the items by dropping your money in a wooden box with a slit. The only operating principle here is, as its name implies, honesty and it is a refreshing dose, in a world of malice and untruthfulness. 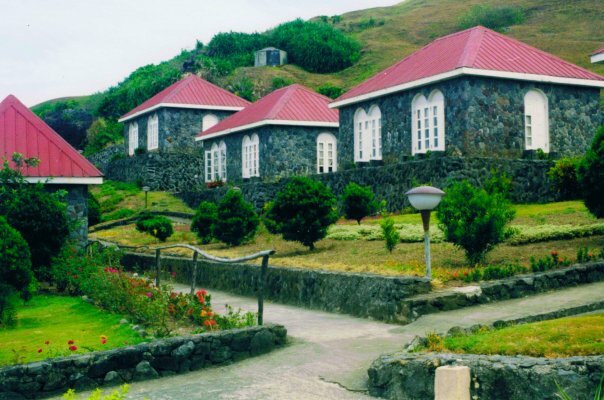 Cottages at the government-run Batanes Resort are built to resemble the Ivatan houses. From its rooms, one can get a glimpse of the rampaging sea. Fundacion Pacita Batanes Nature Lodge, was the home of the late great tapestry artist Pacita Abad, and, as such, has been uniquely designed with her own touches, as well as furniture by her brother, the current Budget Secretary Butch Abad. The lodge also houses the works of young Ivatan artists as well as art pieces by reputable Filipino artists like BenCab and Araceli Dans. Getting there. The newly-formed Skyjet Air will be launching its thrice-weekly Manila-Basco flights on December 14. (For bookings, call 823-3087/635-4810 or see http://skyjetair.com/). Seair-International will be launching its Manila-Basco flights on December 7 but is yet to announce its hotline numbers. In the meantime, keep checking your newspapers for announcements.